Here’s one from a trip we made to Dublin, Ireland in November 2010. 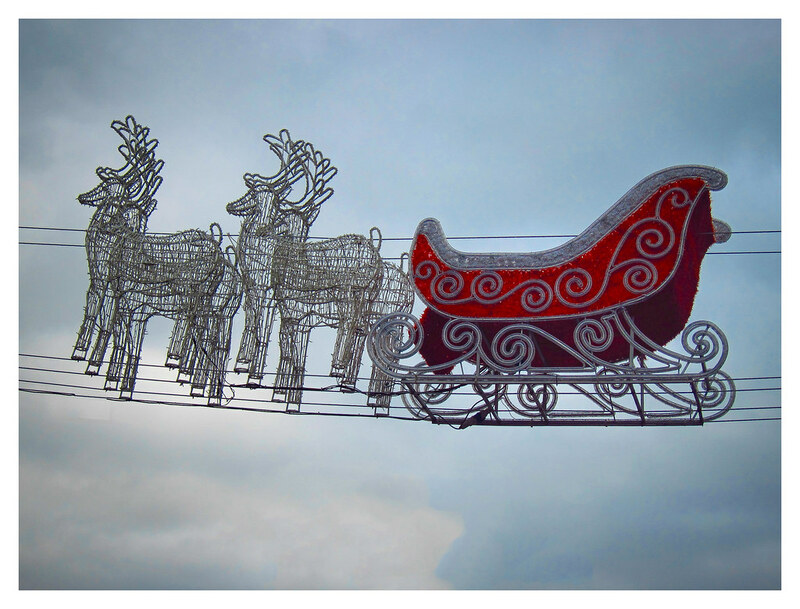 The town of Dún Laoghaire had finished installing their street decorations – and I captured this shot of Santa and his reindeer – but no Santa – with my tiny Canon PowerShot S95. Made me smile – sort of like the reindeer and sleigh were on autopilot – without the old man along to guide! Ireland’s high on my list of places I’d like to return to and spend more time!